Deputy Fire Chief Billy Alcorn has been named Acting Fire Chief to replace Fire Chief Michael Wilkinson. Wilkinson abruptly retired Monday evening. 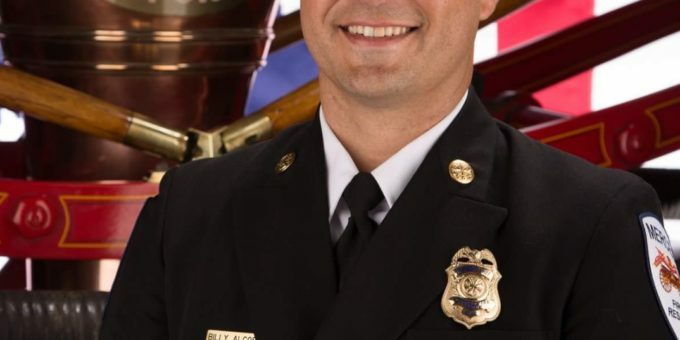 Alcorn started at the City in 2004 as a firefighter and has worked his way up the ranks of the City of Merced Fire Department becoming the Deputy Fire Chief in 2015. He has a bachelor’s degree in Fire Administration and is a graduate of the Executive Fire Officer Program at the National Fire Academy in Emmitsburg, Md. Alcorn served as the Acting Chief prior to the appointment of Wilkinson. Wilkinson was appointed chief Nov. 21, 2016. Prior to becoming permanent chief, he held temporary assignments as the City’s Fire Marshall, Fire Division Chief and interim Fire Chief. In addition he had more than 35 years of experience as a firefighter and instructor in Northern California. A national search for the next fire chief will begin after the holidays.